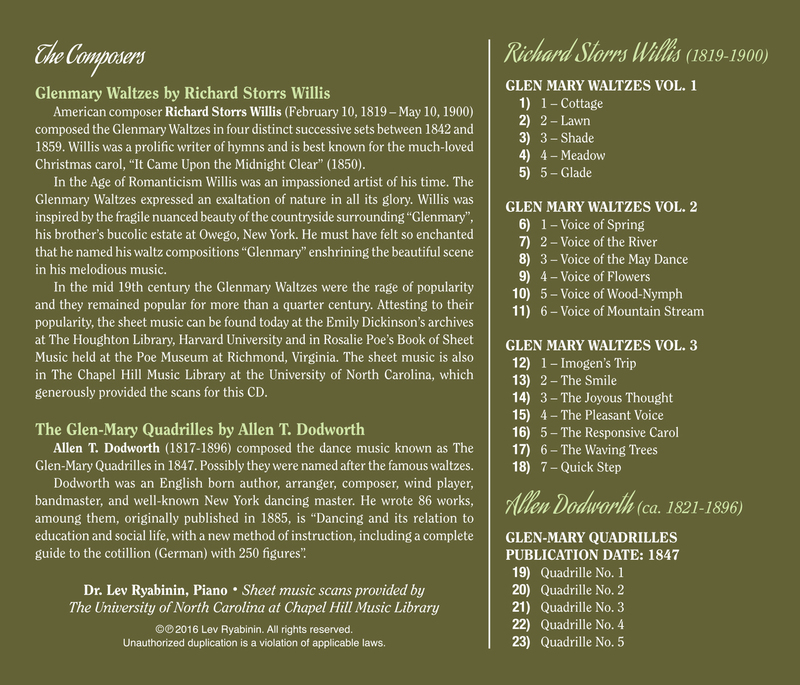 The mid-19th century Romantic Music of Glenmary Waltzes and The Glen -Mary Quadrilles. Now, for Your Enjoyment! Music recently discovered by Donna L. Shrum, freelance writer and educator in the Shenandoah Valley of Virginia.